I have already published a book on the 'Psyche of Addictions' and is available with me for Rs. 250/- only. You can contact me for copies. I believe in health care that is based on a personal commitment to meet patient needs with compassion and care. 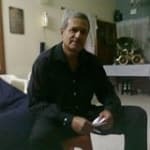 Dr. Saul Pereira is one of the best Psychologists in Austin Town, Bangalore. He has been a successful Psychologist for the last 46 years. He studied and completed Reparenting Technique, BA, BEd. You can consult Dr. Saul Pereira at Saulz Counselling Centre in Austin Town, Bangalore. Don?t wait in a queue, book an instant appointment online with Dr. Saul Pereira on 9448113793 .Find numerous Psychologists in India from the comfort of your home on Lybrate.com. You will find Psychologists with more than 31 years of experience on Lybrate.com. You can find Psychologists online in Bangalore and from across India. View the profile of medical specialists and their reviews from other patients to make an informed decision.